And for those of you who don’t end up winning, here’s a recipe we’ve been making like crazy lately. The other night, we served it with a simple beets-and-green-bean salad. So fast. So easy. Good luck! You can switch out the sour cream with yogurt for a tangy-er version. If you don’t want to fire up the grill, just pan-fry the fillets, 2 to 3 minutes a side in butter and olive oil over medium heat. Brush both sides of salmon with olive oil, sprinkle flesh side with salt and pepper. Grill skin-side down over medium-hot coals for 8-10 minutes total, flipping half way through. Note: Sockeye Salmon cooks quickly. Meanwhile, in a small bowl, mix together all sauce ingredients. Serve salmon with a dollop of sauce. Good things come in big packages, shipped right from Alaska. Love the idea! Even if I don’t win, I plan on ordering salmon for Father’s Day! Both mu husband and oddly enough, my three-year-old would love this! Would love to win this! As a Seattle native who now lives in the land-locked high desert of New Mexico, we have a really hard time finding good fish. My dad doesn’t like salmon but my husband (a new dad) would love this! I remember visiting Anchorage a few years ago and shipping myself an 18 lb box of wild salmon jaw, salmon bellies, king crab, and some gorgeous assorted other fish (halibut etc.) on dry ice…what a treat to come home to! I grew up in Seattle and desperately miss the steady supply of Alaskan salmon now that I live on the east coast. What a fabulous service! yum! I would totally love to give this to my husband for fathers day! He and the boys would so enjoy it! I love salmon, this sounds amazing! even the kids love salmon! YUM! Will definitely check them out…thanks for doing the giveaway! Herby horseradish sauce sounds amazing. Will definitely be trying that. We love salmon; what a great idea! Thanks for the opportunity to win! My fingers are crossed, but I’m also just checking with you in case there are coupon codes potentially available for those of us who don’t win but want to follow up on this awesome gift idea anyway? Thanks again! What a great prize! Salmon is the only seafood my two boys will eat. I love your website and books and use your recipes often! Jenny, how did you know I was at this very moment searching for the perfect father’s day gift? As always, appreciate your oh so timely information & recipes! Thank you! I love the idea of salmon delivered right to my door! Jenny: you. rock. thank you for making my life easier! My dad would love this! What a great giveaway! Can’t wait to try this recipe! This is great! We are big salmon fans, so this is basically a dream! I am a midwest-transplant to the Pacific Northwest and your miso-glazed salmon recipe has made me a rock star amongst Pacific Northwest natives (husband included). Definitely will be trying the above recipe and will be looking into the Wild Alaska Direct service. This would be amazing! My husband would love it AND it’s a fish that my kids happily scarf up. win-win! I recently moved out of Vancouver, BC (many tears), and one of the things I miss most is fresh Copper River salmon. This sounds amazing! My family seriously doesn’t get enough fish our diet. Salmon is my favorite! Sounds like a perfect Father’s Day present! Like all DALS recipes, this grilled salmon w/herby horseradish sauce sounds yum! Can’t wait to make it this weekend–and thanks for the tip on Wild Alaska Direct!!! I’d keep this for myself and get my dad a different gift 🙂 Thanks for the giveaway! What a wonderful father’s day idea! Especially since our daughter loves eating fish so we would get a peaceful dinner out of it too! Bristol Bay salmon? Absolutely delicious. Yum, salmon is my favorite! I’m so motivated to comment on this one! I have friends who live in AK and go fishing- occasionally I see them, and they always bring frozen or smoked salmon with them. Delish. My fave is to make a mustard/chili powder/cumin/cinnamon/olive oil glaze, bake or grill, then drizzle with real maple syrup. The best. Good salmon is so good! Amazing! We love salmon in our house! Love salmon….love to catch them but our season is closed. I could definitely cook this on my grill. We grill all year round, even when it snows! Oh yes, please! As a northwest girl, now living in NJ, this would be MY perfect gift (that I would be willing to share with my husband). Thanks! I LOVE salmon and love the idea of this as a gift for daddies everywhere!! Step aside, Oprah, this is hands down the best giveaway! This is AMAZING! Whether I win or not, this will likely be my FD gift this year. Thank you for the great idea! I’d love the chance to win this! My grill-obsessed father in law would love it! I love this! My little guys are fiends for salmon and I am too – I guess the apple didn’t fall too far from the salmon-loving tree. What a great idea! Who doesn’t love a delicious salmon dinner? Thanks for the contest and your amazing blog! I would love to win this and host a fathers day feast for my neighbors! Looks delicious, what a great idea! My husband is in the Army and we just moved from the Pacific Northwest to the middle of nowhere Missouri. Have been missing fresh, wild salmon so much! What a fantastic gift! Thanks for the chance – and the recipe! My husband loves sockeye salmon – this would be a wonderful gift! The salmon looks fantastic and your recipe seems like the perfect way to let it shine. Thanks for the giveaway, I know a few dads who would love to receive this gift! Yum! What a great giveaway. I grew up in Seattle and, during my “senioritis” year at the University of Washington, worked as crew on a fishing boat in Alaska for 1 week. It was an amazing and memorable experience. I remember getting so close to a whale it blew in our faces, kayaking with sea otters, and catching my own 80 lb. halibut off the side of the boat. I now live on the East coast and (apologies to native New Englanders, but this is totally true) Atlantic salmon doesn’t hold a candle to the Alaska catch I grew up with. Love the site! Mmm. Yes. Went Sitka salmon fishing w/my dad when I was on a cruise to Alaska– this would make a great gift. I love salmon! Being from the northwest it’s a staple of a good summer meal, but out in Brooklyn good salmon is harder (and more expensive!) to come by. Great idea! My husband (okay, and I) would love this for Father’s Day! Thanks for a great giveaway! Thanks for the contest, and the recipe! My whole family is loving salmon lately! That sounds perfect for my husband. Thanks for the chance to win! What a perfect gift! My dad eats salmon multiple times a week, thanks for the great idea! I am not a big fish eater myself, so this would be an extra big treat for my husband! Sounds amazing! I’m pregnant and due any day now, anything that will facilitate my husband cooking more is a winner. We would love this!! My husband loves to grill and loves salmon! My husbands favorite meal is salmon – this would be a great father’s day gift!! My husband would love this! His favorite family vacation ever was a trip to Alaska. We fished for salmon from a small boat out in the ocean and sent our catch home – delicious! Our whole family loves salmon!! We’re actually grilling some for dinner tonight! Would love to sample some of this awesome looking sockeye!! What a great giveaway and company! I gave my dad the DALS cookbook for Christmas and was already thinking of food-related gifts for him for Fathers Day, so this is perfect! Salmon and horseradish is always a fab combo….actually, horseradish with anything is pretty delicious. I loathe salmon – it’s one of like 3 things I absolutely cannot eat – but my pescatarian partner loves it, as does our son. This would be an amazing Father’s Day gift for him! I love salmon! What a great service. We just got our first Whole Foods store (Fayetteville, AR) and my kids are fascinated with the fresh seafood case. Really working on getting the fish into those tummies! I love salmon! And so does my dad – this would be a great gift! Ooh, my dad would LOVE this. Individually-packed salmon portions are my new best friend – I’ve been broiling or roasting them for our family once a week for about a month. Or more specifically, for my husband and me, since despite my best efforts at promoting “princess fish” to my princess-obsessed daughters, I can’t get them to each much of it. (More for me!) This looks like a wonderful alternative to the not-wild-Alaskan portions I’ve been getting from the local grocery! yES, WOULD LOVE TO WIN AND MAKE A BIG DENT IN MY GROCERY BILL!!! Alaska salmon is the best! My father in law would LOVE this! pick me! we love salmon! Yum! We’ve recently started eating salmon and this would be great encouragement to keep it up! 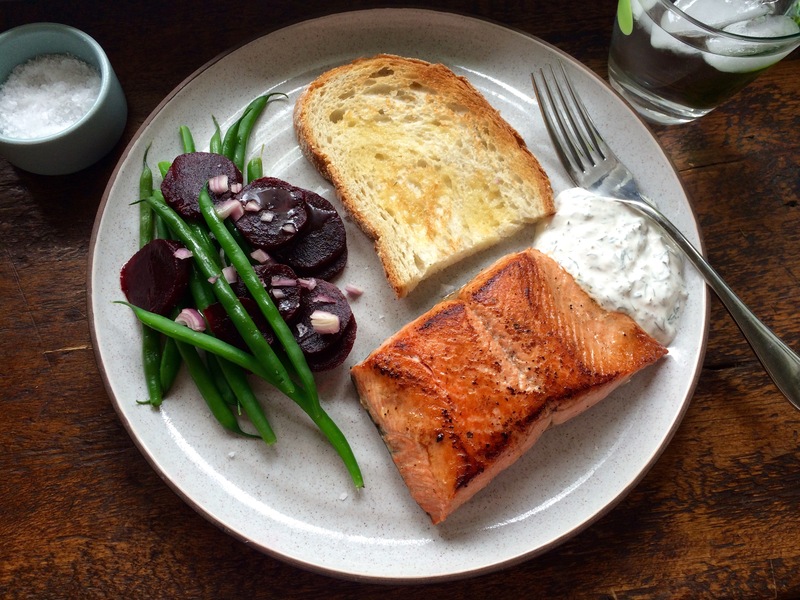 Looks amazing – we have salmon weekly & I love horseradish, excited to try something new! This is so exciting, I think I have found my parents’ birthday present now! I would love to win this! We are trying to add more fish at home instead of just when we go out! Great giveaway, thanks! Can’t wait to try the recipe. what a great idea, fresh AK salmon is the best! We would love some salmon!! This looks like the perfect gift! This salmon looks delicious! Thank you for hosting this contest. How deliciously smart! Good plan for Father’s Day! Please oh please! We would so love this. My husband is obsessed with salmon. He would love this for Father’s Day! This is an awesome gift idea. My dad is watching his diet since having some heart issues crop up. Ordering now! My husband doesn’t like salmon so I would keep this all for myself! That would be an amazing gift! The recipe sounds delish too. This is e perfect present for my husband who loves to grill salmon! Such a great idea! This would be an amazing Father’s Day gift! Thanks…. My parents are former Alaskans, and they would love having this treat for Father’s Day! Yum – what an amazing prize! Going to order for my husband for father’s day – thanks for the great idea! sounds amazing, I love salmon! Smitten kitchen has a horseradish potato salad where the dressing is essentially your horseradish sauce, which would go great with salmon. There is nothing like sustainable, delicious salmon for dinner – thanks David! My dad would love this!!! You know, I don’t think I’ve ever grilled salmon. Time to remedy that! I would love this! We’re trying to eat more fish — and yout trick about calling salmon “princess fish” has won over my four year old. I just passed on Pacific wild salmon yesterday at our fish market due to price considerations — this would be such a treat for my husband! (And maybe we could save enough in the freezer for my Dad too!) What a great giveaway — thank you! I know a dad or two that would love this! My favorite way to grill salmon is with a ball of jalapeno butter on the top. This looks great! I love salmon! Wow, that looks amazing. Will check out the site! I love this site so much. So much inspiration for dealing with the dinner hour, and now a fun contest to boot. Thanks Jenny! Such a fun idea! Sounds delicious. Would love to win this. I could eat salmon every day of the week! We recently the discovered the kids were fans of salmon. This would be a great gift for all of us to enjoy. What a great idea! My father-in-law almost went salmon fishing for a few weeks last year with a friend in Canada, but something got in the way. He would love this! As another gin & Tonic lover, I had to comment. Q tonic (made without sugar!) has changed my life, thanks. We love salmon — we lived in Alaska a few years ago and still miss it. What a great business idea to showcase! Best wishes for fisherman Matt. Yum! And that sauce sounds amazing! Salmon for dinner would be amazing! Thanks for the giveaway! Oh my god. Sockeye from Alaska to my door? Too good to be true. My dad would absolutely love this gift!! Yum! Growing up in the Midwest we didn’t eat a lot of fish, so salmon is a new love for me! I like free food delivered to my door. I’m in! Hmm, I’ve never thought to try horseradish with salmon, but I eat salmon much more often than roast beef and love horseradish. So this is up on the docket next time I make salmon, yum! Salmon is a BIG favorite around here. My three-year-old daughter requests “princess fish” all the time, thanks to the tip from the DALS cookbook. Thank you! this looks so great! my whole family would love this. Would love to send this to my dad! We’d love this. We’re in the middle of nowhere in New Mexico and drive 2.5 hours 1/month to the Whole Foods in Albuquerque to get salmon. My 2.5 year old LOVES it and so do we. I use your dill/mustard/yogurt sauce/dip all the time. I would love to give this to my dad for Father’s Day! He and my mom currently take care of my mom’s aging parents who ALSO love salmon – in fact, they used to go fishing for salmon in Alaska in their younger years – so this would be such an appropriate gift. Thanks for the recipe, too! What a great idea for Father’s Day! Last year we gave him a new grill, so this would be a perfect follow-up. Thanks! Oh yum! This would be a hit in our family! Love salmon and would love to win this for the family. Oh my goodness, how great does that Salmon look. Personally, I can never have enough! Yum!!! That looks delicious, and my boys & I LOVE grilled fish! We love salmon for weeknight dinners! Yes please! This would be the best fathers day gift, ever! Salmon – my favorite! I never thought to make a sauce with horseradish for it, but this sounds excellent. Will definitely have to try! Umm! I love salmon. And directly from Alaska? even better! Would love love love to try this! Such a great idea!!! We live in Arizona and dream about going to Alaska, just to eat salmon, especially after reading about your trip there! I love that the salmon is sustainably sourced! I’ve never met a man that doesn’t like salmon so what a great idea. That salmon is beautiful and the herby horseradish sauce sounds perfect. Such a great DALS giveaway! How cool is this?!? I’ve been trying to get my family to eat salmon. Yum! We usually save our salmon feasting for when we visit family in the north west, but we would happily devour this right here in New Mexico if we won! Awesome! Would love to have more salmon in my life! Looks great – love the look of that salad as well. Love salmon! Could easily eat all of this myself. My husband dies a mean BBQ salmon. Yum! My husband would have to fight with my daughters over that delicious looking salmon! What a wonderful way to be both good FOR dads and good TO dads! This is a special gift! Looks fantastic! Even if I don’t win, I will definitely check this out. How fun! This is my husband’s first Father’s Day (we have 6-month-old twins) and we both adore salmon!! We ordered 5 pounds of salmon from Wild Alaska Direct last month. What a delicious treat! The order was placed on Tuesday night and Thursday night we were enjoying the salmon, grilled with a lemon dill sauce. We just cooked more wild Alaska Direct salmon for my wife’s birthday dinner and will spurge again on the 4th of July. Truly worth every penny. Ooh, this makes me want to cook salmon immediately–would be even better to do it with this salmon in particular! Truly the best salmon in the world. Ordered from Wild Alaska Direct and was eating grilled salmon two days later. A perfect gift and so special to have on hand for special occasions. Bristol Bay salmon rocks. I would slather these bad boys in the soy ginger marinade from the Nordstroms Cafe Cookbook– a family favorite from my mall rat days. Wow, what a treat! Totally ready to enjoy fresh Alaskan salmon! Thank you! Every Sunday is ‘Salmon Sunday’ in our house! Would be the perfect Fathers Day gift! We are northeasters who grill every weekend of the year. Would love to try out this Alaskan salmon now that it’s finally getting warm here. We love salmon at our house, especially my almost 3 year old! husband on his very first Fathers Day. What a great find! So glad to have a source for wild salmon now- Thanks! I have a meat csa to deliver meat so looks like I may need one to deliver salmon! What a great gift idea! One of our favorite meals. Sounds like a great idea -I may look into ordering for Father’s Day w(hich would be a gift for all of us). This would be the next best thing to traveling to Alaska and picking up our own wild salmon! My husband would love receiving this for Father’s Day, but I think my 4-year-old and 18-month-old would love it even more! Oh yum! My 1 year old can it get enough salmon. This is amazing!! 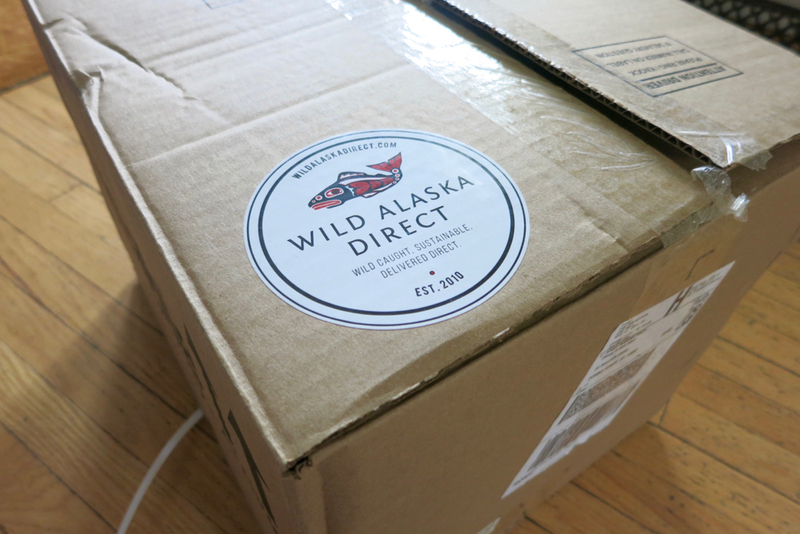 We make your salmon salad pretty much weekly and Wild Alaska Direct might just be my answer! Thank you for all you do to make my family meals rock! Yum! Would love to try Alaskan salmon! Love your blog for deconstructed supper ideas. YUM!! Salmon is definitely a favorite at my house 🙂 loved by everyone, including my dad! I want to go to Alaska! I watch Deadliest Catch! I want to make your horseradish sauce and serve it with salmon! Now that would make for a lovely Father’s Day. Great idea! We have a new Kamado Joe grill and would love to try this salmon on it. My dad would love this gift! Thanks for sharing! What a perfect alternative to sending father’s day steaks! We would defined have a dinner part if we won this give away. Thanks for the easy recipe too! I’ve been a fan for years. We love salmon and my husband loves horseradish so this is going on my list to try. I have such a hard time finding wild sustainable salmon. I will definitely order if I don’t win! My husband is our resident “grill sergeant” and we love salmon! Sounds like a great guy – he reads your blog! Yes! Consumable gifts are my favorite these days. What a perfect gift! This one would be hard not to keep for yourself! My Stepdad would adore this gift! We take part in a salmon share, also from Alaska, and it is just amazing, thanks for another recipe to try out. This recipe looks great. And we are a big salmon eating house so we would love to win!! Sounds great! Regardless, I’ll be making that horseradish sauce this weekend. What a great idea for a Father’s Day gift! Thanks for sharing. Salmon- that’s what’s for dinner. Yum! I love Salmon, I’ve been eating at least 5 portions every week, so i would love to try this out. I also recently found out I’m pregnant and wild salmon is one of the fish that I can eat without having to worry! What an awesome giveaway! My dad would LOVE this!! What a wonderful way to get fresh delicious salmon. Thanks! Wild Alaskan salmon is the only way to go! Thanks for the possibility of fabulous dinners. Salmon is a favorite in our house! My husband or dad would love this gift! Love this idea! What a great father’s day gift for the father who has everything. What a great idea for the dad who has everything! My family loves good salmon! Terrific idea! Great recipe too. Salmon with miso sauce and a cucumber salad is so divine! Looks amazing! Would be a perfect Father’s Day surprise for my husband!! My favorite food to grill! Salmon is so versatile. Do you also ship Chinook? Wild, of course. Baked with a little butter is just fine. curious how the salmon is shipped? I love Alaskan salmon but often it comes with so much unrecyclable materials that it makes me enjoy the salmon a little less. Entering for myself! Hubby isn’t a huge salmon fan but I am and he eats it because he loves me. Yum!! I will be making this this weekend! That is one delicious looking salmon meal! We need to eat more salmon. That is one delicious looking meal! Love your books; I use them at least once a week when the will to cook flags. My freezer would be overjoyed to harbor that salmon. My daughter, who is home from college now, LOVES salmon! This sounds delicious. We try to eat salmon at least once a week. We would LOVE to win this! thats a great service to know about!! I’d love to try the mail order salmon! I’d love to win this! I love wild salmon. We love wild salmon in our house, what a great giveaway! Thank you for hosting it! We love wild salmon and so do both our girls! We’ve been looking for good salmon online. Love me some non-farm raised fish! Sounds delicious! My husband would love that! Why just for Father’s Day? This could become a go-to gift for everything! We LOVE salmon…we love Alaska too! I’m not too accomplished at prepping fish yet, so individual packages delivered to my door sound amazing!! Our entire family loves salmon! Would love to try out a new company. Ooh. What a great giveaway. It’s hard to find wild caught salmon where I live. Oh my goodness- this salmon looks amazing! And considering my father is always sending me pictures of the fish he is grilling, this would make the perfect gift! Never thought about serving salmon with a sauce! Mmm, I *love* salmon! Thanks for the chance. Delicious! Love a horseradish kick with salmon! PS – shout out to your books – I love them, too. How clever – of both you and Matt. You for thinking of a gift that won’t take up space – but that Dad will love – and Matt – for starting the company! Thanks for the giveaway. Sounds like an awesome company. Sounds delicious! Would love to give this my husband for Father’s Day! Delicious giveaway! It has been 8 years since we have been to Alaska. My husband would love this for Father’s Day. My husband LOVES salmon. Whenever we have it and he is blessing the food, he says, “And thank you God, for this salmon, the best food in the entire world.” What a fun Father’s Day idea. I wish I were having this for dinner tonight! This is exactly what my husband wants! I love salmon. I love when my spouse grills salmon. It’s all good!! Upgraded my dad’s grill for Father’s Day and this salmon would be the perfect 1st meal! I love salmon, my better half uses a miso glaze! This may be one fish recipe I can actually try. Yum! For my family, this would be two dinners for six. My dad is no longer here but I would love this for my husband! Ooooh, what a great idea for Father’s Day (that happens to reward me just as much as my hubby…my kind of gift!)!! Such a great giveaway, Jenny! Fingers crossed. Winning this giveaway would be awesome! Thanks for the chance. This sounds so amazing! Every time I see salmon, I instantly think of my dad. He’s taught the little ones from his second marriage to love it, too.This would be such a perfect way to celebrate and honor him this year! I love salmon and I love your website. What a great gift idea. Lately I’ve been grilling salmon and rice in my rice maker and wrapping bites of salmon and rice in toasted seaweed. Yum. Big salmon fans here…sounds like the perfect gift! Will have to def check em out. 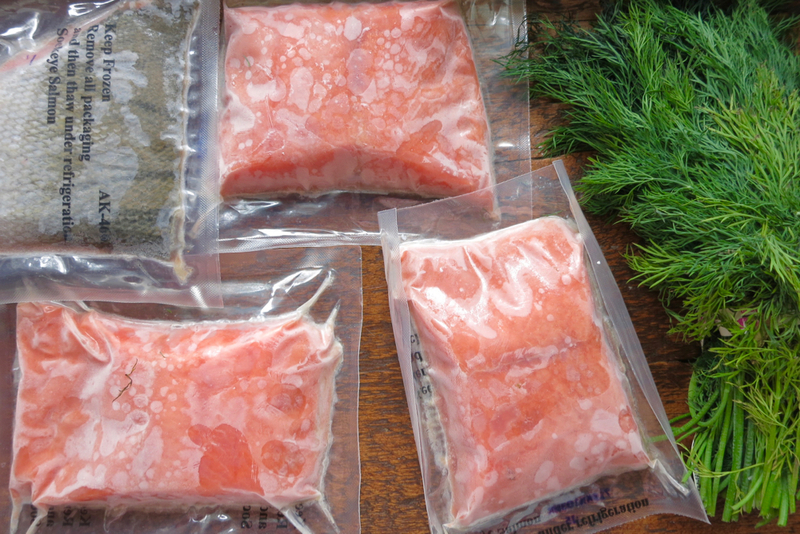 Sustainably sourced salmon in convenient packages? What an awesome service! This sounds spectacular. Happy Father’s Day indeed! Our family is going to Alaska in 1 week! Wahoo! Would love to get a box of salmon! We love salmon! Their salmon looks fantastic! This looks like a great Father’s Day idea! (or any dinner for my 13 year-old…she loves salmon) Thanks! This would be a great surprise for my husband and my 13 year-old. Thanks for the idea. Mail order fish! How cool! I am a little worried about anything frozen being delivered here to the sweltering south, but I’m willing to give it a try. Salmon is my husband’s favorite fish! Yum! The salmon looks delicious, and I can’t wait to make the sauce! Salmon with a creamy sauce is the best! Both the giveaway and the recipe sound like they’d make the perfect dinner party! This recipe looks delicious, thanks for sharing! We’ve been eating a lot of salmon lately so I’m excited to check out his company and order some-no doubt it’s tastier than what I can buy in the store! Love your website and would love to try the salmon! We love salmon and we love this site! The salmon sounds delicious, but I really want the recipe for the beets and green beans. Those look amazing! Thanks for the lovely giveaway. I love salmon. Used to live in oregon now live in Pennsylvania can’t find good salmon so this is great. I love simply prepared salmon! I eat salmon several times a week and would love to try wild salmon! Looks delicious, I would love to win this beautiful salmon! Well, that’s several holiday gifts sorted. What a great idea for a Father’s Day gift! I would love to win this for ,my son-in-law. Love this idea! My dad has some health problems and we are trying to adapt to the new dietary restrictions that go along with it, so this would be a special way to eat right! Looks amazing! We love salmon at our house. When my daughter was young we called it “pink chicken” to get her to eat it, we all affectionately call it that to this day. family of four agrees on! My husband (and all of us) would love this. That would be a perfect addition to the Father’s Day gift my husband just bought for himself – a new grill! And, the recipe is perfectly timed as I just bought home some salmon from the market today. Thanks! Thanks again for the fantastic recipe and Father’s Day gift inspiration!! If we can’t take Dad to Alaska, maybe we can bring Alaska to him! Thanks! Alaska is my dream destination! I study the Iditarod Dog Sled race every year with my first grade class and have been enchanted with this amazing state ever since. Bonus: unique Father’s Day idea! Our family loves salmon….I use a soy sauce, ginger, garlic, brown sugar marinade that is devoured in minutes! Thanks! Would like to enter the drawing for the father’s day salmon. Thanks! Oh, wow! Happy Father’s Day, indeed. We love salmon and so do our kids, made this tonight on the grill and it was great!! Also love my salmon with capers and brown butter and lots of lemon and we pick off the capers for the kids. I know one dad in my house that would love this!! Please enter me! I could eat salmon every night, and my kids love it even more! So…I’ve never cooked salmon. BUT it’s on my “I want to try this” list but I’ve never been sure of where to find good salmon in my little Utah town. So we haven’t done it yet…but I will! And this would be a perfect jumpstart to our salmon introduction!